Close-ups of the front and back labels, in order to make the back label more easy to read the text portion has been cropped out of the rest of the label. Can this product be used with a DA, or is it a rotary only product? Polishing Paint removes the stress in my life, and the swirls on my car. 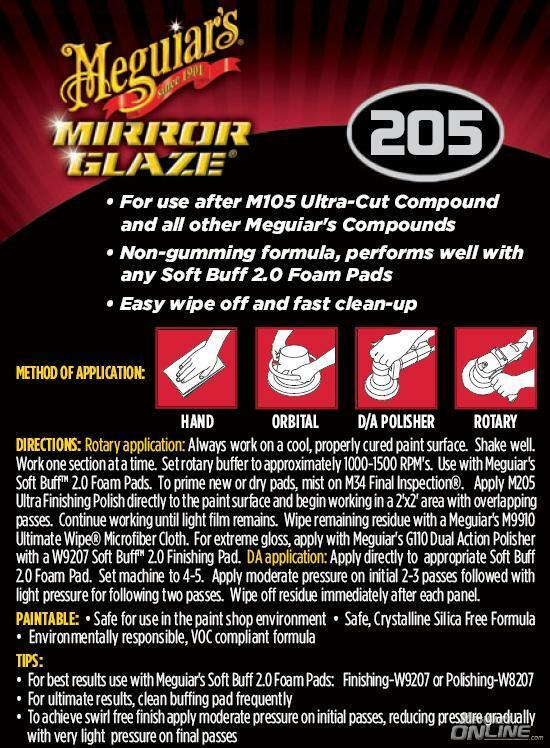 As a professional detailer who lives and dies by M105, this product will likely be my favorite new product (and money maker/time saver) for 2009. So there's the answer to my question I posed on Thursday about what to use after 105. This I want! Yee haa! This sounds like the #1 product of them all. Can it be used with the DA? This is the final version of the finishing polishing we used on the Batmobile over the summer. 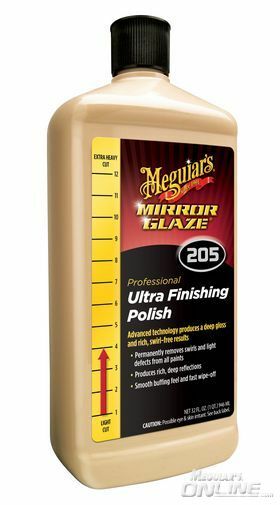 If God were to hand create a fine polish, I have a feeling it would look, feel, taste, smell, and work like M205... haha. Thank you Mike, I'm definately getting this, as well as the Reformulated M105. Gonna have to get the rest of the products sent to my parents so that my companion doesn't have a cow. Last edited by Andy M.; Nov 4th, 2008 at 07:24 AM. Reason: edited for non family friendly comment. 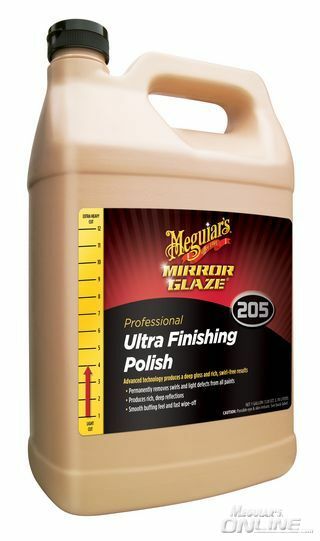 Andy M.
I'm going to have to add another shelf to my "Meguiar's" rack. Last edited by Mikejl; Nov 4th, 2008 at 12:52 AM. 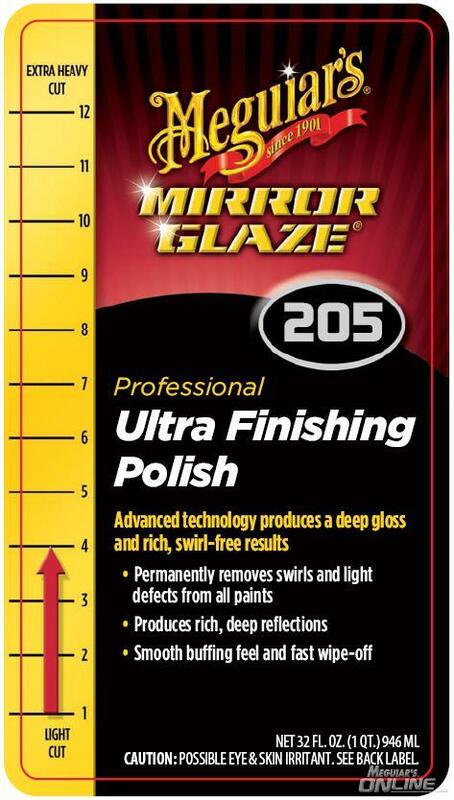 Finishing polish to use after #80 ?